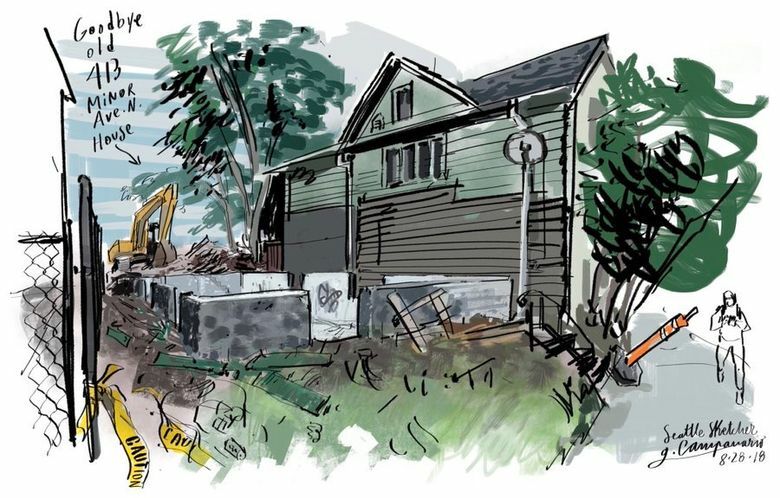 The wrecking ball has finally come down on one of the oldest houses still standing in South Lake Union’s Cascade neighborhood. 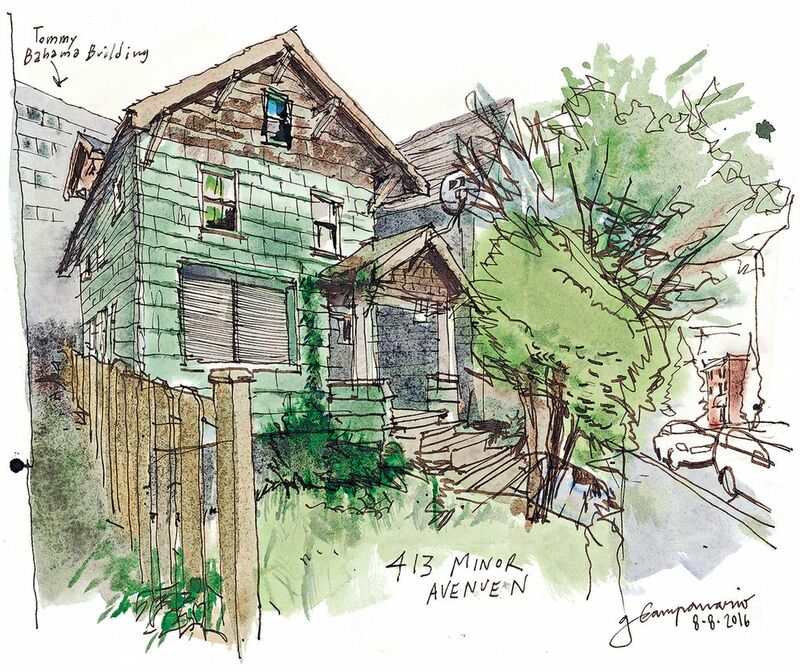 This was the “old bohemian rathole from more affordable times” that I sketched and wrote about two years ago, not long after its last tenants moved out. The remaining concrete foundation reveals where a flight of stairs was located in the back of the residence. According to city records, this former rooming house dated from 1909.